Shin and Mei-Shun met at one of their favorite Japanese cuisine restaurant for lunch today. 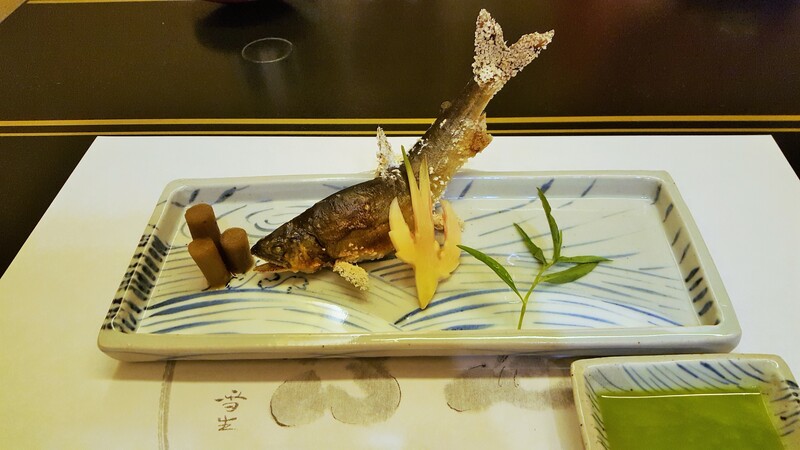 The biggest reason why the wife asked a favor of the husband follows below — grilled sweetfish. She would like to have it with him at least once in July, when fishing of this delicacy starts from the beginning. Oh, how dynamic it looks accompanied by 蓼酢=tade-su, herb-flavored vinegar.